Are you just dying? I’m dying. 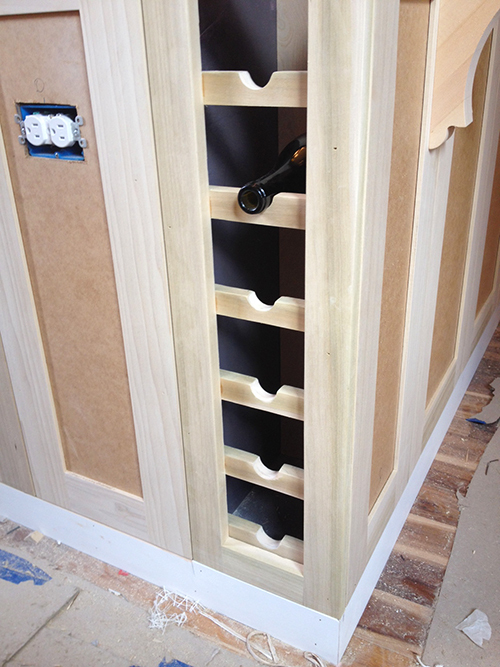 And, let me show you a little secret on the other side of the cabinet: a built-in wine rack. This was just a spur of the moment decision – we had a skinny opening that we were planning to just close off and not use for any purpose at all. And, well, that sort of waste of space just does not fly in a small older house like mine! So, I went into my closet and grabbed an empty bottle of wine (I’m not a wino who has empty wine bottles everywhere, I promise. I just use wine bottles to stuff my tall boots so they don’t fall over in the closet). 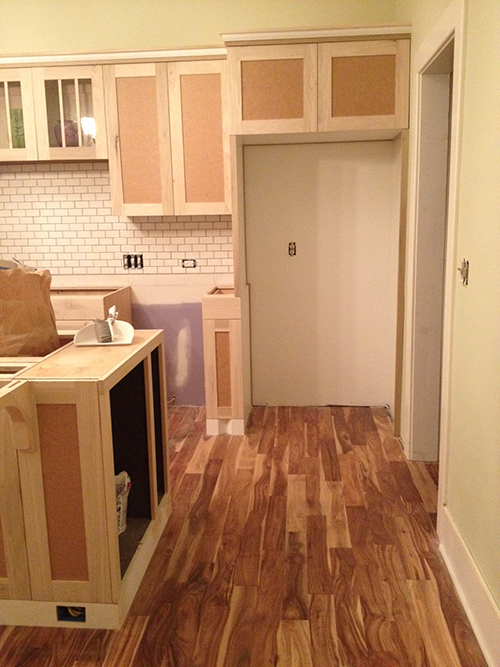 The empty cupboard was the perfect size for a wine cabinet – truly meant to be. What do you think? Adorable, right? 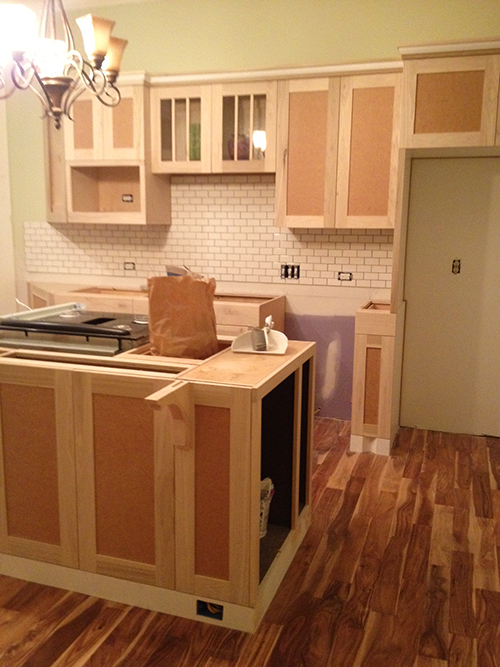 Next post I will show you the new counter tops – We are getting there!